The Halsey Institute of Contemporary Art 161 Calhoun St.
Full Moon, The Halsey’s 7th Annual Membership Celebration, offered an opportunity for current Halsey members, potential members and visual arts enthusiasts to show their support of the Halsey Institute’s continuing efforts to provide innovative contemporary art programs to the Charleston community. Membership dollars support the Halsey Institute’s programming budget and supplement the funds received through grants and consistent support from the College of Charleston. We cannot possibly sustain our dynamic programming without the encouragement and financial support of our members-those who keep the mighty Halsey afloat! Guests at the event experienced vintage, blues-driven sounds by The Royal Tinfoil, had their portrait made on the moon and feasted on space-age wine and fare. The Halsey staff, Board and volunteers would like to thank Sully Sulivan for capturing our guests on the moon at the 7th Annual Membership Celebration! Please visit the links below to view all the portraits and fun! All images are the same and guests can choose from a classic 19th Century black & white photo or a dreamy Coney Island color print! If you have already purchased your portrait at the FULL MOON bash on November 11th, please send Sully an email studio@ohsully.com, notifying him which image you would like printed. If you would like to order one of these lovely images for yourself or as a holiday gift, send an email to studio@ohsully.com with the image number and quantity desired. All portraits are digitally printed on museum quality matte photo paper at 8″ x 10″. Each print costs $15 and you can order as many as you like (one for every member in your family)! To have your portrait(s) before the holidays, orders must be placed by the end of the day on December 6th. These prints will be ready for pickup on December 7th. Payment is due at pickup. 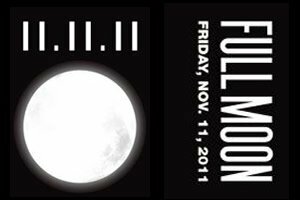 The very last day to order a moon portrait is December 31, 2011. Prints can be picked up at the Halsey front desk or mailed to a provided address.